I love thrillers, and I Am Still Alive starts to “thrill” on page one and never stops. Adults will love as well. 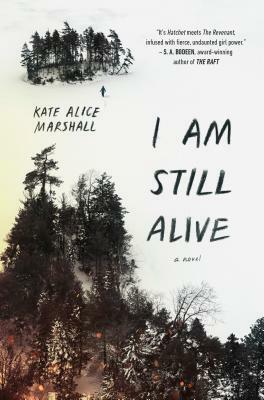 Alternating between the past and the present, this tightly-paced novel tells the story of a girl who survived a car crash that killed her mother, then was pulled from foster care and sent to live with her estranged survivalist father in the remote Canadian wilderness. Jess was just beginning to get to know her dad when a secret from his past paid them a visit, leaving their cabin burned to the ground and Jess's father dead. Now, Jess must fight with everything she has to forage and hunt for food, build shelter, and keep herself warm. But she will survive. She has to survive. Because she wants revenge. (Available July 24th).